Crown-Recycle Investments is an innovative recyclable plastics trading company that specializes in the procurement of plastic scrap. Batteries must be easily removable from consumer products,. Crown Recycled Material Supplies (A division of Crown Logistics.Co.Wll) is the leading provider of comprehensive waste management and recycling services in Kuwait. Throughout the years, the company has expanded its potential and capabilities by transforming itself from dealing with not only scrap metal but plastics. We process & recycle low density poly ethylene granules & poly propylene granules as our commitment to recycling and increasing the life of our depleting resources. Crown Recycled Material Supplies (A division of Crown Logistics.Co.Wll) is the leading provider of comprehensive waste management and recycling services in Kuwait. Throughout the years, the company has expanded its potential and capabilities by transforming itself from dealing with not only scrap metal but plastics. 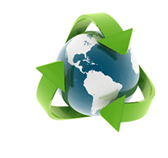 We process & recycle low density poly ethylene granules & poly propylene granules as our commitment to recycling and increasing the life of our depleting resources. This commodity plastic resin is translucent, autoclavable, and has no known solvent at room temperature. It is slightly more susceptible than polyethylene to strong oxidizing agents. This commodity polymer offers the best stress-crack resistance of the polyolefins. Products made of polypropylene are brittle at 0°C and may crack or break if dropped from bench top height.